Manage your dream nightclub in Party Hard Tycoon, a business simulation game where you're tasked with throwing the most profitable party ever. It takes place in the same universe as tinyBuild's 2015 hit Party Hard. Mixed (127) - 51% of the 127 user reviews for this game are positive. A lot of players have been experiencing sound problems after the latest update. Missing sound issue is fixed now. Please, update your game. Accept our apologies for the inconvenience. New random (and crazy, of course) party events for you to handle. Talk about unexpected stuff. 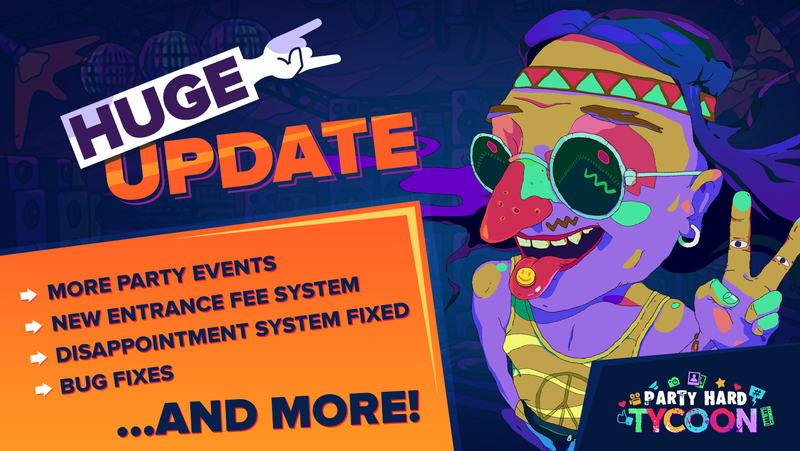 Entrance fee system was reworked and optimized. We have received a lot of the feedback from you guys about the old system being obscure and unintuitive at times. Now the bigger the price, the less people will come, simple as that. Easier to control your audience and to make profit at bigger locations. Party disappointment system underwent changes. 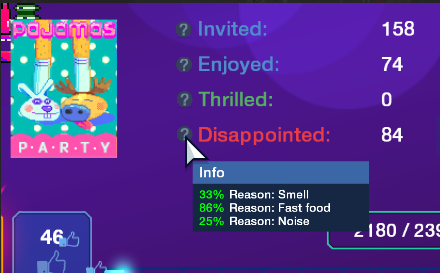 We addressed a number of bugs and also made it more clear why partygoers were disappointed at times. In addition, a number of visitors who started to felt disappointed—and therefore left—was decreased. Installed furniture icons now remain visible all the time. Table descriptions were simplified. 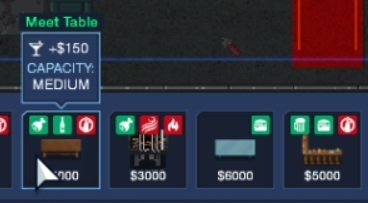 Profit per person is now indicated clearly as well as capacity. Also, serving the table now costs 30% of its total value. Arcade cabinet was added as an early game green grade equipment. Gamer party theme now works better. 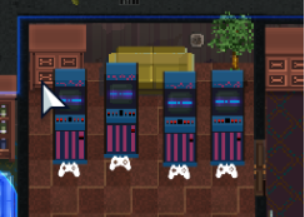 Arcade cabinets don't need to be refilled. Party Hard 2 is coming! 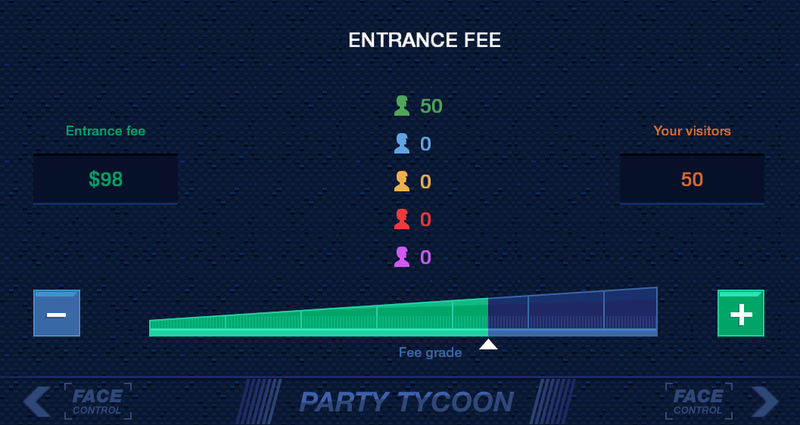 Manage your own nightclub in Party Hard Tycoon, the most accurate nightclub sim of the year! Expanding upon the AI & hilarious setups of Party Hard, the game takes a tycoon-style look at what it's like to be a professional partymaker.